In April of 2018, Ypsilanti Township hired a new Community Engagement Coordinator with the goal of expanding the existing Neighborhood Watch Coordinator role to include community outreach and public communication elements. 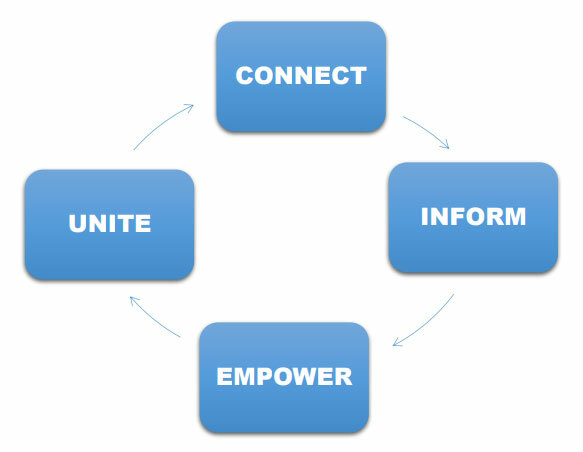 According to the CDC (1997) Community Engagement is " ...the process of working collaboratively with and through groups of people affiliated by geographic proximity, special interest, or similar situations to address issues affecting the well-being of those people. It is a powerful vehicle for bringing about environmental and behavioral changes that will improve the health of the community and its members. It often involves partnerships and coalitions that help mobilize resources and influence systems, change relationships among partners, and serve as catalysts for changing policies, programs, and practice." 4. continue to UNITE us as a community. The Community Engagement Coordinator also advocates for and amplifies the voices of Ypsilanti Township residents at various community meetings and events throughout Washtenaw County. We encourage residents to get INVOLVED by providing opportunities to communicate with Ypsilanti Township government, volunteer with community partners and to contribute directly to the success of our community. Reporting directly to Supervisor Brenda Stumbo, the coordinator works closely with the Washtenaw County Sheriff’s Office, Ypsilanti Township Fire Department, Office of Community Standards, Residential Services, Ypsilanti Township staff, elected officials and other community partners to keep all residents CONNECTED, INFORMED, EMPOWERED and UNITED.